The term ‘development’ largely refers to two types of development; new build and large renovation projects; and smaller conversion and refurbishment projects. In this article we consider the traditional financing available to a developer for each type of development and how equity crowdfunding provides everyday investors with the opportunity to invest in development projects. Development finance is typically a loan of up to 60% loan to GDV (“Gross Development Value” - the projected market value of the completed development), with a maximum of 75% of total costs (purchase and build costs), provided by banks or other financial institutions such as peer to peer lenders. Loans tend to be for a term of 6+ months on an interest only basis from rates of 6%pa upwards and will usually require first ranking security over the development. Equity/Joint Venture funding tends to be used to cover the balance of funds required (Total development costs less Development Finance) in return for a share of profit. Funding may be secured by a second charge. This tends to be provided by the developer (referred to as “Hurt money”) and/or other equity investors, including; private equity, real estate funds, pension schemes and HNW (“High Net Worth”) individuals and now everyday investors through crowdfunding. A developer has planning permission to build 10 houses with an estimated GDV of £3.4m. The land was acquired at £0.9m and the build costs are estimated to be £1.4m. The developer secures developer finance from a lender at 6%p.a. for £1.7m which is paid in staged payments during the build. The balance of funds is made up of equity investment from the developer (£0.1m) and funding raised from equity crowdfunding and private equity (£0.5m). The first 5 houses are completed and sold after 18 months at which stage the development finance and rolled up interest are repaid in full. The remaining 5 houses are completed and sold over the following 6 months at which point the equity investors are paid their profit share of 50%. Conversion and refurbishment projects tend to involve work on a single unit, commonly used by developers who look to “flip” properties (a strategy to buy, refurbish and sell a property for a profit in a short period of time). These projects tend to be funded through bridging finance or refurbishment loans, equity/joint venture funding and/or cash. Bridging finance is a short term loan which ‘bridges’ the financing gap between acquisition and exit (i.e. sale or refinance). Bridging can be arranged within a matter of hours and can be sought for properties in poor condition that a traditional lender may not lend against. It is more expensive than longer term finance; interest rates range from 0.75% to 1.5% per month on loans of up to 70% loan to value and will usually require first ranking security over the property. Refurbishment finance provides funding for refurbishment projects in two tranches. The first tranche is based on the loan to value of the purchase price (up to 75%) and the second tranche is based on the loan to value of the estimated post-refurbishment price. Rates start from 5.5%pa and loans will usually require first ranking security over the property. Equity/Joint Venture funding - similar to new build and renovation projects tends to be used to cover the balance of funds required to buy and renovate the property, in return for a share of profit and may be secured by a second charge. Funding may be provided by the developer (referred to as “Hurt money”) and/or HNW (“High Net Worth”) individuals and now everyday investors through crowdfunding. Cash – For some developers there is the option to fund the whole project or the balance after debt finance with their own cash, but this becomes more difficult for professional developers as they grow the size and number of projects they undertake at any one time. A developer buys a property for £300,000 and plans to spend £60,000 refurbishing it in 3 months and estimates its market value post-refurbishment will be £450,000. The developer secures a refurbishment loan of £337,500 (75% LTV on estimated post-refurbishment value) at 6% pa and receives the first tranche of £225,000 (75% of purchase price) to buy the property. The balance of £135,000 is made up of equity investment from the developer (£35,000) and funding raised from Homegrown (£100,000). Once the refurbishment is complete and inspected by the lender the developer receives the second tranche of £112,500, which allows the developer to repay the equity investors’ capital and profit share of 50%. 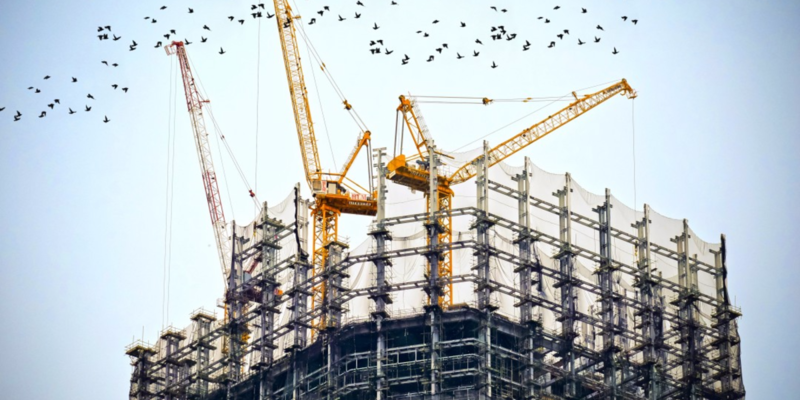 There are a number of different options available to developers of both large scale new build projects and smaller scale refurbishment projects through debt financing, both in terms of the choice of lenders and the type of product. 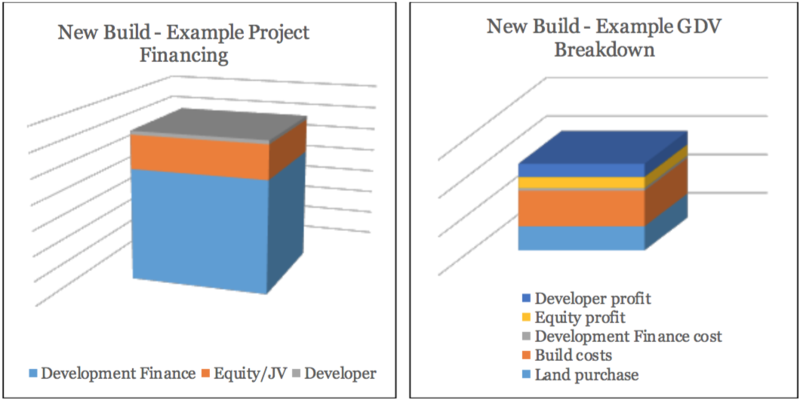 However, for the average developer who doesn’t possess substantial cash resources or vast land banks, there are far fewer options to fund the equity portion of a development project. Homegrown, an equity-based Property Crowdfunding platform, with its access to a diverse pool of retail investors, provides developers with an attractive alternative to fund the equity share of projects. Homegrown is able to raise finance quickly and provides a framework that makes investor management straightforward which creates an opportunity to build a long term and sustainable funding partner. Homegrown provides investors with the potential to access potentially attractive returns over a relatively short timeframe, with limited reliance on long term house price inflation or rental yields. Investors are also able to follow the progress of developments and unlike traditional buy to let investment may be attracted by the social benefit created through the development of much needed new housing stock in the UK.